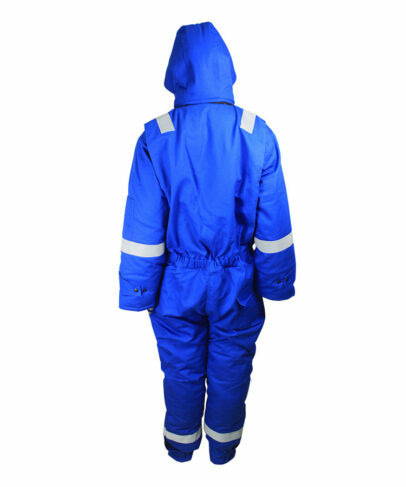 This royal blue flame resistant coverall made of 380gsm cotton flame resistant fabric, and can meet EN ISO 11611, GOST 12.4.221-2002, NFPA2112 and other standards. The cap and collar is connected by zipper, the cap can remove freely, convenience and keep warm. Use elastic band adjust the cap month, also with snap button closure, wind proof and keep warm. 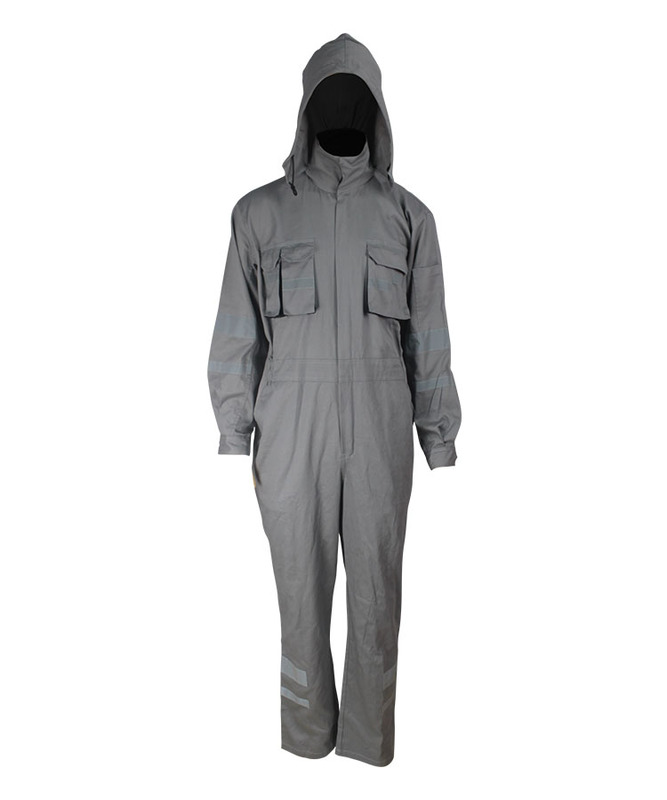 The padding in whole flame resistant coverall is wrapped with double layer lining fabrics, comfortable and keep warm. A inside pocket in the left chest, closure with zipper, which can hold some important thing. Two chest pockets with flap, closure with snap button and sewed with double visible thread. Hip pocket on the back of pants, the pocket flap is 1 cm bigger than pocket to protect debris into the pocket. The upper and pant join together in waist line, sewed with double visible thread, elastic band on the back waist can adjust the waist size to suit for different wearer. Two way brass zipper extend to the top of collar for front opening, wind proof and keep warm. The cuff with natural hemming, a loop with two snap buttons closure is on the place of 8cm upper from cuff, the wearer can adjust the cuff size as per themself requirements by adjust the two buttons, convenience and practical. 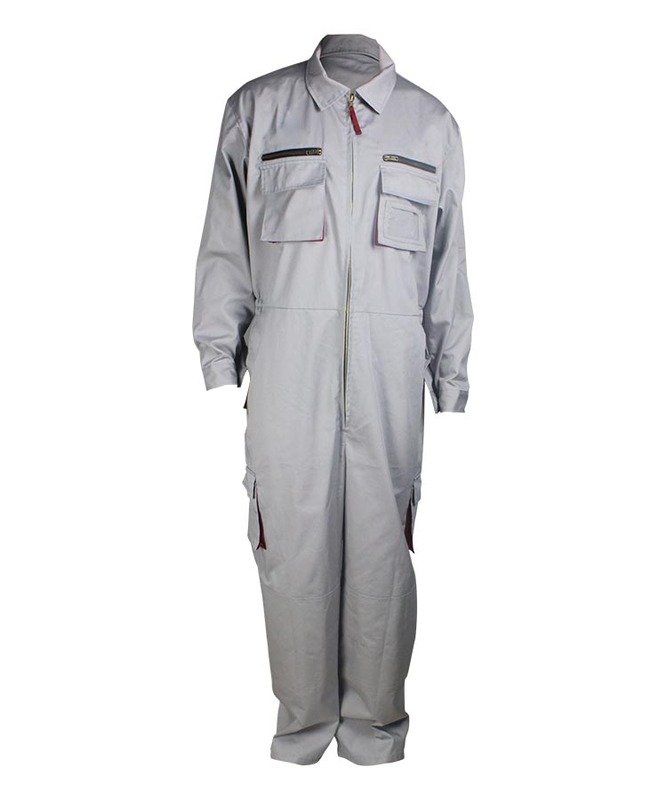 Two slant pocket on the side seam of the flame resistant coverall. Air hole with zipper closure in the side seam under waist line. The wearer can into the clothing by the air hole freely. Zipper closure on the outside of leg opening, which is easier for on and off, and with loop adjust the size. 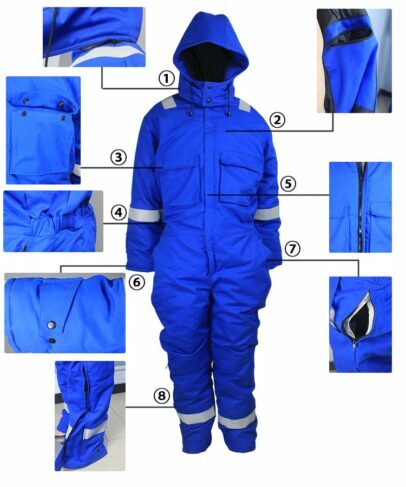 Reflective tape on the royal blue flame resistant coverall’s shoulder, sleeves and legs, with double visible sewing thread, more safety. Active back, more flexibility for the wearer. Shoulder seam and armhole sewed by five sewing line and three visible sewing line, beautiful and durable. One hip pocket on the right with double layer bottom, closure with velcro button. Fixed with bar tacks. A tool pocket in the side seam which can put some tools. Two knee pad pockets with velcro button closure, can protect the knees.